A Year Later, Has Bangladesh Learned its Lesson? 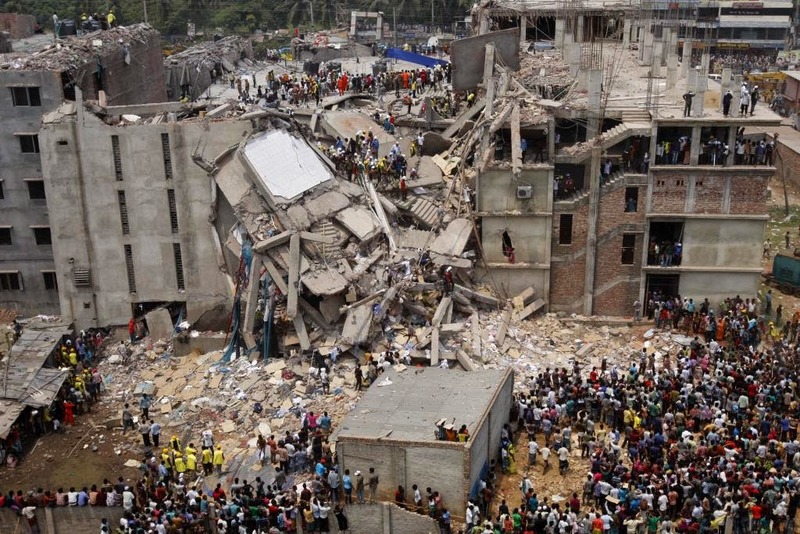 A year ago today, the Rana Plaza collapsed in Bangladesh. The eight-story garment factory had seemed unstable the morning of April 24, 2013 to many workers standing outside it, where a large crack was visible. However, the workers, who are typically paid wages that make the most paltry incomes in America seem enormous, knew that if they did not head inside to work they would be fired. We all know what happened next - the factory collapse that day was the worst in modern history, killing 1,129 people and injuring over 2,000 more. The tragedy shed light on the abominable workplace conditions in Bangladesh, and within months there was a pledge of $40 million to compensate victims and their families, as well as two separate coalitions - one comprised of European clothing companies, the other their American counterparts - that vowed to increase regulation and inspections of the factories they source their clothing from. Yet here we are, a year later, and it's hard to be optimistic about the change that has occurred. Out of the $40 million that was initially pledged to victims and their families, approximately $15 million was actually raised and disbursed. The advocacy group Clean Clothes Campaign noted that collectively, the 29 clothing brands that had ties to the Rana Plaza were being asked to contribute just 0.2% of the $22 billion they bring in annually - and still that has yet to come to fruition. In addition, despite increased efforts to inspect some of the factories in Bangladesh (which I do not disparage - the efforts on the parts of major international clothing brands should be applauded), there are an estimated 2,000 factories that remain entirely outside of the government regulatory sphere in the country. To make matters more complicated, garment factories throughout the country frequently take on more work than they can finish on their own, resulting in a major subcontracting market that faces virtually zero scrutiny. This makes the industry as a whole incredibly opaque, and undermines the efforts that are currently being taken to improve the workplace conditions. The problem with Bangladesh's garment industry is more complicated than simply improving certain factories, and will take a much broader, deeply-rooted approach to correct. In 2013, the garment industry accounted for 80% of exports for the country, and brought in approximately $21 billion in revenue, or 18% of overall GDP. 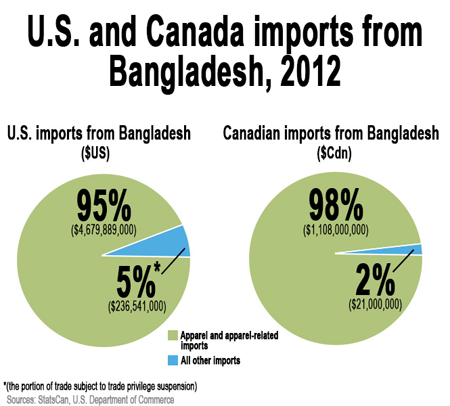 To suggest that the garment industry is the backbone of Bangladesh would be an understatement. And to assume that the government is going to openly embrace reforms that will likely be costly to implement and maintain is shortsighted. While horrific tragedies such as the collapse of the Rana Plaza last year are mourned throughout the country, Bangladesh is quick to get back on its feet thanks to the stark reminder that without the same level of productive output in garment manufacturing, the country as a whole suffers. Consumers (such as myself) and retailers are to blame perhaps even more than the Bangladeshi government. For decades, ever since mass manufacturing began moving overseas, we have witnessed what is called the "race to the bottom", where countries compete for business by lowering their standards and, as a result, the cost of doing business with them. Well, when a factory collapse kills over 1,000 people and injures twice as many, it's safe to say we have reached the bottom. While regulation and factory inspections are an important first step in improving the day to day conditions in many of these factories, clothing companies need to change their philosophy entirely, and begin the race to the top again. As consumers, perhaps the cost of our clothing goes up temporarily, but I would bet that governments around the world begin to attract manufacturing to their countries by offering subsidies to keep the cost down. This way, it's no longer a zero-sum game; everyone benefits. A year later it is hard to forget the headlines day after day as the death toll climbed from a few hundred to over one thousand. And it absolutely should have forced us to confront the quality of the workers in a country such as Bangladesh, who sew our clothing together for pennies while we spend small fortunes to purchase the finished product and the company pockets the difference. But it is important to keep moving forward, to refuse to be satisfied with the progress and the results, and to hope that we can turn things around and ensure that never again does a colossal garment factory collapse, causing thousands of casualties. Did Diplomacy Win in Ukraine? 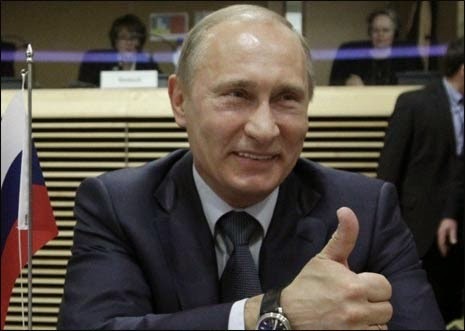 Not with a bang but a whimper, international tensions appear to have shifted away from the Ukraine, leaving regional powerhouse Russia and the interim government in Kiev to deal with what are most-definitely-not-but-kind-of-look-and-talk-like Russian forces in the east. Though the conflict certainly is not over, it looks like it will not be the likely cause of World War III anytime soon. Russian-speaking troops are still occupying several areas in Eastern Ukraine and Crimea is firmly in Russian hands, but the US, EU, and Russia as well as Ukraine’s interim government came to an agreement to peacefully “defuse” the situation last week in Geneva. Yet Russia has not yet fulfilled one of its primary commitments to call on separatists in the East to surrender the buildings that they’ve occupied, and is now contemplating further military action. Since last writing on this topic in February, the news emanating from the Syrian refugee crisis has only gotten worse. There are now close to 2.7 million refugees who have fled the Syrian conflict, the majority of whom have settled in Iraq, Turkey, Lebanon, and Jordan. There are almost 14 million people who are in need of aid in the region as a result of the conflict, and funds from the international community have hardly been forthcoming: the UNHCR’s appeal for 4.2 billion dollars is only 14% funded, while UNICEF’s 222 million dollar appeal is less than 12% funded. Without these desperately needed resources, UN agencies as well as over one hundred other humanitarian agencies can do little to mitigate the devastating effects of the Syrian conflict on the region. The effects of the crisis on Syria’s neighbors are becoming more acute, and more violent. In Lebanon, clashes not only in the north of the country but also in Beirut have led to scores of casualties and deaths. A Syrian refugee mother recently set herself on fire in front of a UN building in Tripoli because she was unable to feed her four children on the small amount that aid agencies and the government are currently struggling to provide. 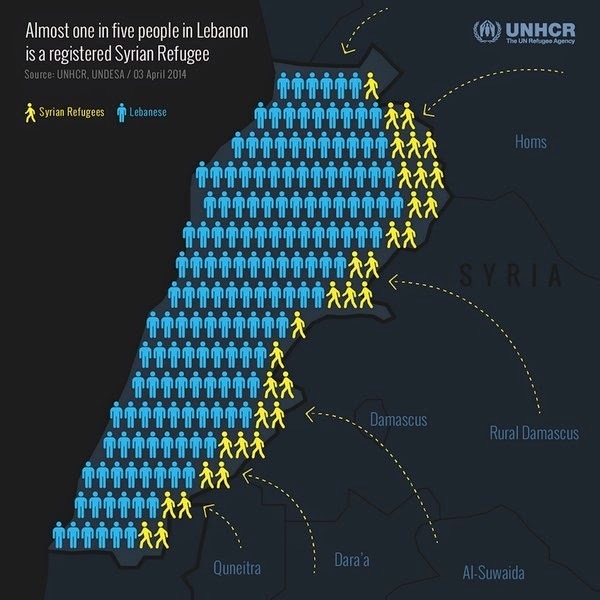 Lebanon also passed the “devastating milestone” of one million Syrian refugees this month, and refugees now make up a quarter of the population, the largest per capita concentration of refugees in the world. 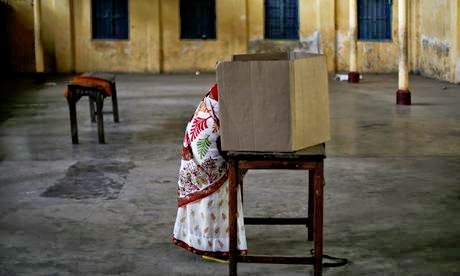 Today marks the beginning of a multi-phase, month-long election in India that has been the subject of much fanfare in recent weeks. In the largest democracy in the world, a whopping 815 million citizens are registered to vote over the next few weeks on nine separate dates, concluding on May 12. While this is certainly not the first election of such magnitude for India, it is a decidedly important one, as the past two years have seen a dramatic change from the economic optimism to a more uncertain financial outlook. In addition to this, for the past several years India has persistently made headlines with violent rapes of young women, political corruption, and the perpetual hostility with neighboring Pakistan. The incumbent Congress Party, which has enjoyed a dominating presence over the parliament and executive administration, will have to fight for its life to remain such an influential factor, while other parties have been seen as up-and-coming - most notably, the Bharatiya Janata Party (BJP). Early polls indicate that the BJP will enjoy numerous victories this election, potentially including that of their Prime Ministerial candidate, Narendra Modi. 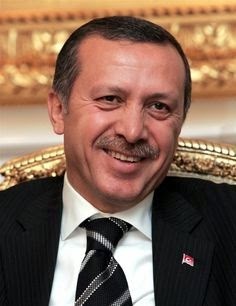 Turkish Prime Minister Recep Tayyip Erdogan has a lot to be smiling about this April Fool’s Day. As if being the political leader of Turkey – a rising developing power, the bridge between Asia and Europe, and an EU hopeful – wasn’t enough, his Justice and Development Party (AKP) just swept the country’s municipal elections. Though he wasn’t on the ballot when Turkish voters went to the polls last month, his party’s victory was a “referendum” on his rule nonetheless. With 44% of the vote, the AKP increased its share of the vote over the 39% it received in the last elections. In the afterglow of victory, Erdogan has responded by promising to make his political enemies “pay the price,” after having called them “terrorists” on the campaign trail. It’s been a tough year overall for Erdogan’s government. Massive anti-government protests in 2013 gave way to headlines centering on his censorship of social media giants like Twitter and YouTube in the run-up to the election. A Turkish prosecutor’s special report on corruption (likely leaked by the opposition) also revealed an illegal scheme that placed Turkey at the center of money laundering for Iran through intermediaries in China and Dubai; the report also revealed Turkish musings over starting a war with neighboring Syria. While it may not have done much to damage the AKP in the recent elections, the report does raise questions of how Erdogan’s policies will affect relations with the West.